It’s 2:30 p.m., but it feels like 6:00. You’ve been in this seminar since sometime this morning and, while it’s been full of good information, you’re on overload and squirming in your seat. Can you relate? We all can. Later, when you try to bring all your carefully written notes back to your team at next week’s team meeting… they are likely to feel just the same way. It’s 4:00 p.m., but it only feels like 2:00. This day can’t possibly be over! Where has the time gone? You were just getting started. That’s strange. There was no 300-slide PowerPoint presentation, no 20-page handout. Yet you’ve learned several pieces of great, useable information. You feel empowered and inspired to use it tomorrow. This was definitely one of the best speakers you’ve heard in years. 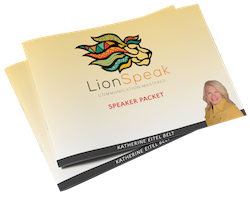 Do you want to breathe life back into your team meetings and training sessions? Then, make the shift from manager or lecturer to transformational trainer. Take the information and skills you want to relay to your team members and transform it from instructor-led teaching to participant-centered learning. Chunk Content: There is no end to the content you might wish to teach such as improving phone skills or taking better x-rays, more complete data entries or understanding the business statistics and goals. Your objective is to have them do more than simply listen, understand, and agree. The key is to help them retain, perform, and replicate. Whatever the content, first break it into small, manageable chunks. For example, if you want to improve phone skills, divide that topic into four sections such as 1) introduction and rapport, 2) identifying patient concerns and needs, 3) offer appropriate solutions, and 4) get necessary information and resell value. Prepare the content to be taught in these smaller modules. Activity. In advance, select a participation exercise for each of the four topic sections. After teaching/discussing one of the modules of information, create an exercise where the team members can get their “hands on the material” themselves. For example, you might do an exercise called “Each One Teach One” where participants teach their partner the new skill as if they had not heard it before. For the second topic section you might have each participant go to the board and add a possible question that might be good to ask a patient on the phone, creating a practice list of great questions. For the third topic section, create a “triad” with three participants in each group. One will act as a patient, one as the team member, and one as an observer. They role-play an easy scenario and rotate. This allows for a triple review and everyone gets the hot seat once. For the last topic section, use a “dice roll” where participants role a die and recall things that they have learned or will commit to doing better for every number they roll. In this formula, everyone has fun, learns, actively participates, and is engaged in mind and body. Test. There are many kinds of testing mechanisms such as written “fill in the blank” reviews with group-designed questions based on the material, skills practice exercises, or even taping yourself or hiring a “mystery patient” service. It is in the fourth and final piece that you not only test the learning of the participants but, more importantly, the effectiveness of the trainer. If your group continues to struggle and fail at passing the test, it is likely that you should look harder at your ability to train, relay, and teach the information. We can all recall at least one teacher in our lives that had a tremendous impact on our learning. Most likely they were different from the rest. They somehow made the material come alive for you and helped and encouraged you to continue to struggle until you had that feeling of accomplishment when you finally succeeded. Help your team (your students) get their hands on the material more often and more quickly. Stop doing the data dump and help the material come alive for them. Encourage them through the struggle of learning something new. If you want inspired learning, don’t just look to your students to become better learners, look to yourself to become a more inspired trainer and teacher. Then, you’ll find that you’re both looking forward to those team meetings and training sessions! “Did you say I’ve got a lot to learn?